Aussies doing Pilates? Why not? 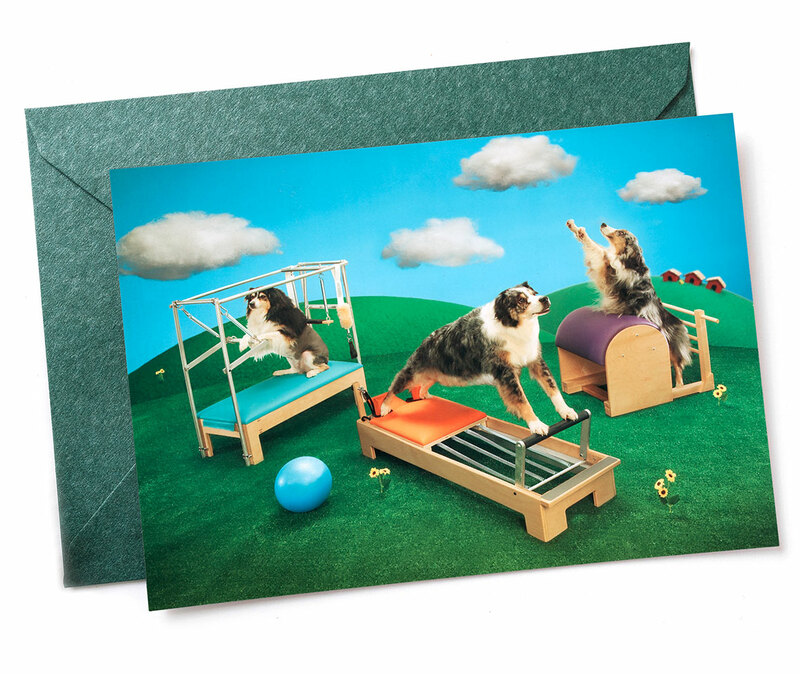 This card was so popular that Balanced Body turned it into a notecard package. This eye-catching promotion for Balanced Body shows Joseph Pilates performing his original exercises on a Wunda Chair. 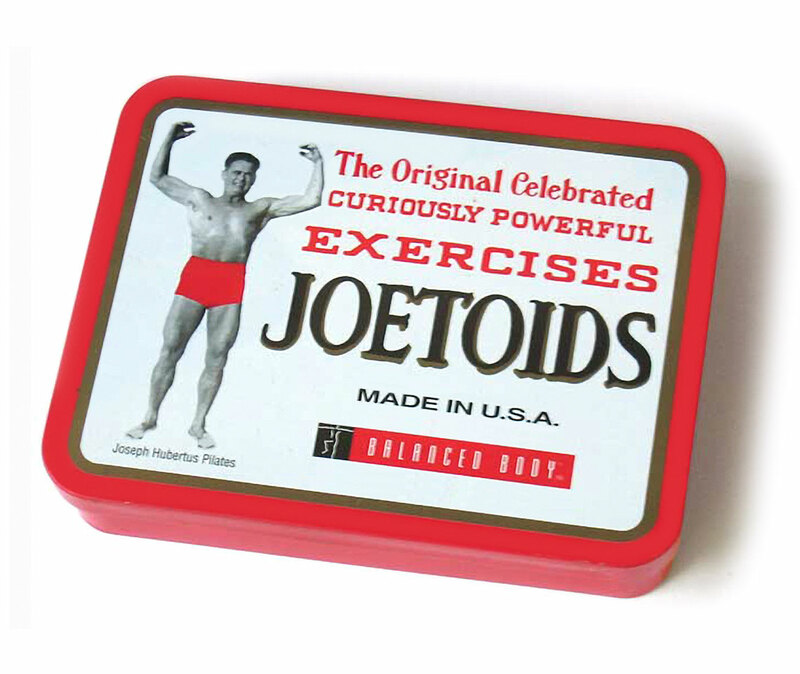 “Altoids” reinvented, featuring Joseph Pilates, the founder of Pilates exercise. Tins packaged with real mints were sent to Pilates studios as a holiday promotion. 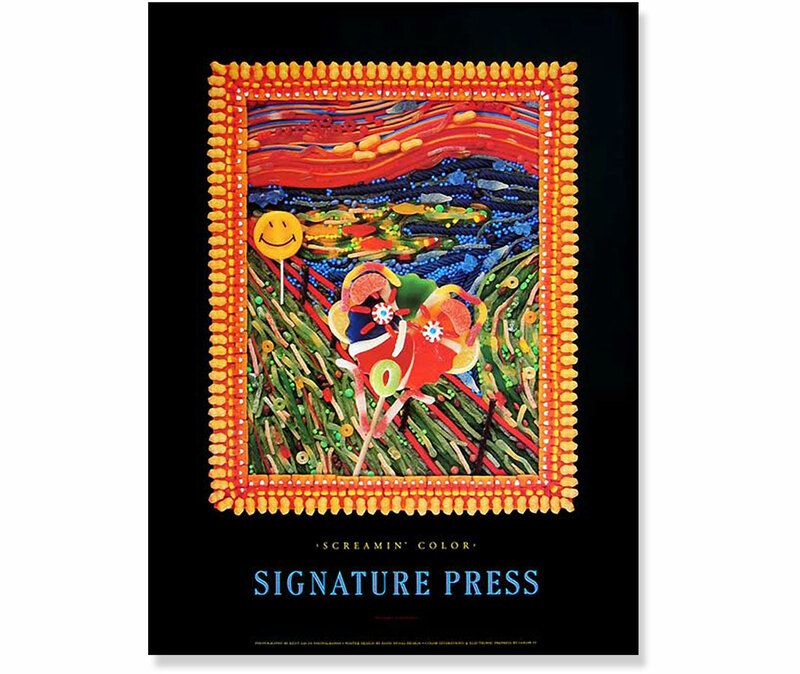 Edvard Munch’s “The Scream” was re-created in candy to promote a Sacramento printer’s 6 color press. It was hard to ignore this invitation to our own holiday party. 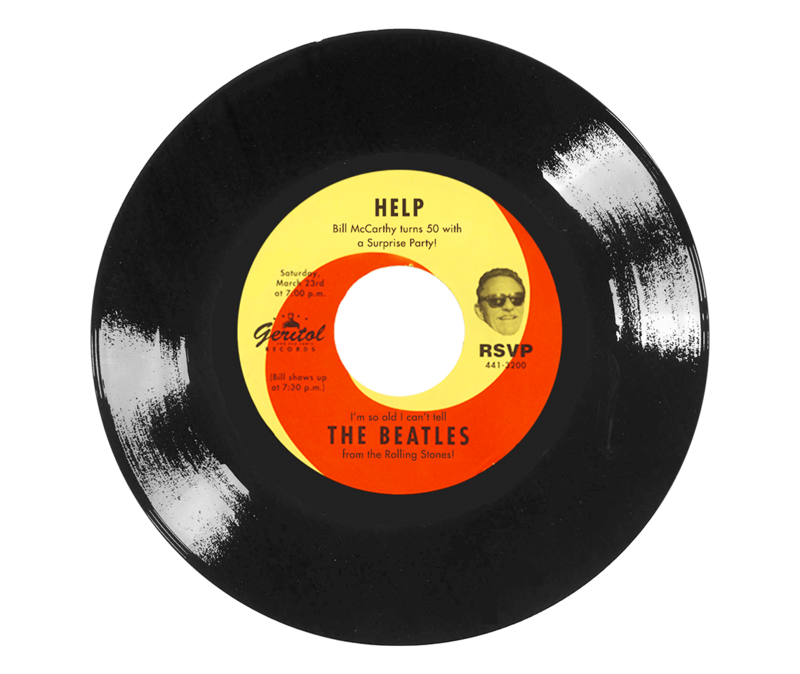 We delivered it in a box, with lights flashing. More fun than an envelope filled with confetti! A great party starts with a great invitation. 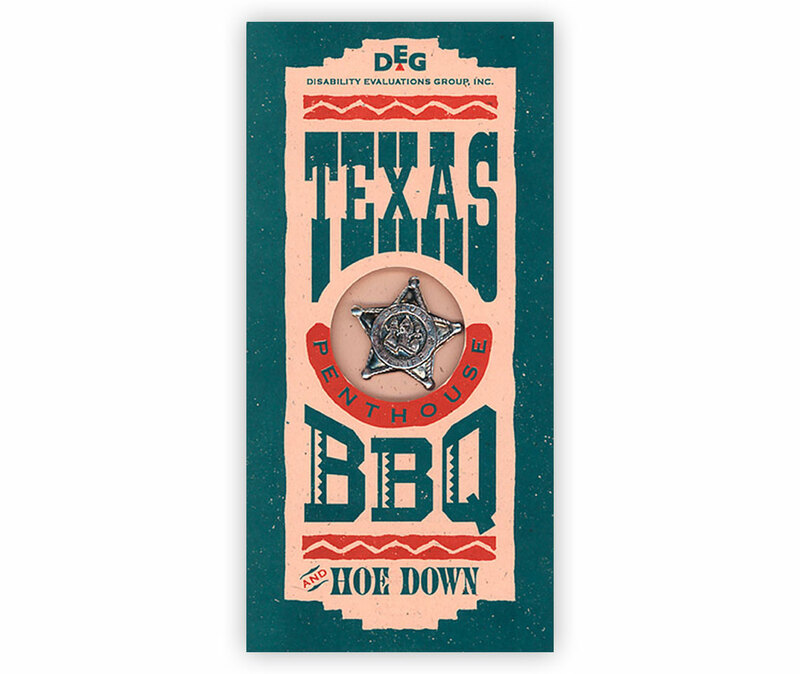 Here, a tin sheriff’s badge was the “ticket” to a successful event. 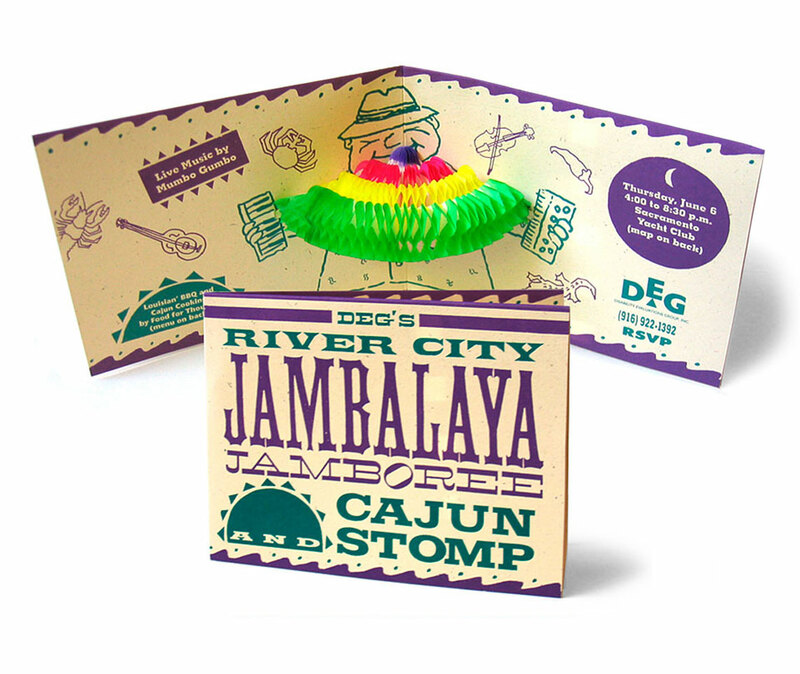 This “Jambalaya Jamboree” party invitation opened to a eye-catching 3-D accordion.